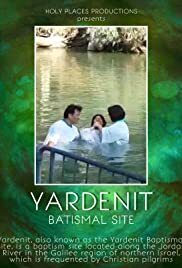 Holy Places welcome you to the Baptismal site of Yardenit, meaning the Little Jordan. We are back to the Sea of Galilee shores, to the actual site where John the Baptist baptized Jesus. The Sea of Galilee is a popular site for Christians to visit. There, they can walk the paths Jesus walked and even see a boat from His time that was discovered in 1986.